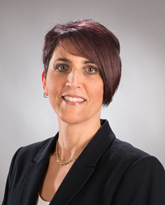 In her current position, Ms. DeLaurentis works with clinical leaders and special interest groups to develop programs and protocols across the Hartford HealthCare Rehabilitation Network. She also oversees our home care division, Quality and Recruitment. Ms. DeLaurentis is a member of the American Physical Therapy Association and CT Physical Therapy Association. She is a graduate of University of Connecticut with a Bachelor of Science in Physical Therapy.